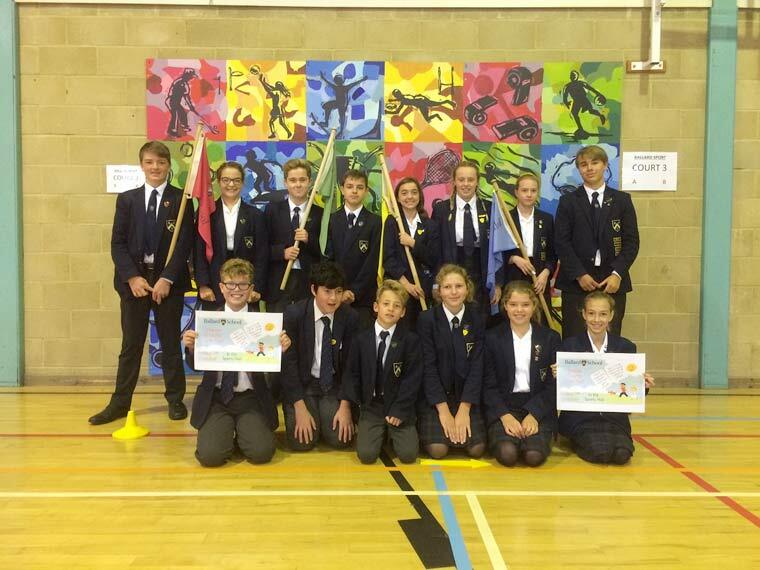 A Hampshire school has been taking part in an inter-house Charity Coin Trail competition. Students from the four Ballard School houses were inspired to collect loose change from home to raise funds for four local charities chosen by students. Working in teams they voted for their favourite charity to represent their house and then placed coins in separate trails which were lined up in the sports hall to see who could raise the most. The close-fought battle involved students from all age groups and raised £441.08 in total. The winner, Setthorns House, raised £124.37 for the Hampshire & IoW Air Ambulance, which exists to bring immediate, life-saving critical care to patients. Holmsley House raised £110.33 for Força – strength against cancer, a charity which offers support to those living with cancer in Hampshire. Wilverly House raised £103.31 for Solent Mind which supports people with mental health problems across the South. And Broadley House raised £103.07 for the Teenage Cancer Trust which helps to provide treatment and support to young people with cancer.